The dollar dipped on Tuesday, as investors waited to see how the next step of the U.S. tax reform legislation proceeds rather than extend the rise made by the dollar at the start of the week following the U.S. Senate’s approval of the tax bill. 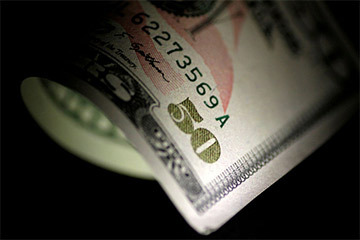 “The upcoming negotiations on the bill between the Senate and the House are likely to decide the dollar’s direction this week,” said Shin Kadota, senior strategist at Barclays (LON:BARC) in Tokyo. “A large portion of the enthusiasm for the tax bill passing the Senate had already been factored in when (Republican Senator John) McCain gave his endorsement last week,” said Kadota, explaining the dollar’s loss of momentum. “The pound has become a vehicle for speculators, with fundamentals taking a back seat,” said Masashi Murata, senior currency strategist at Brown Brothers Harriman. With its rally well under way, the Aussie showed little reaction to the Reserve Bank of Australia’s well anticipated decision to keep its cash rate at a record low of 1.5 percent. The New Zealand dollar firmed 0.45 percent to $0.6890 , paring the previous day’s losses.